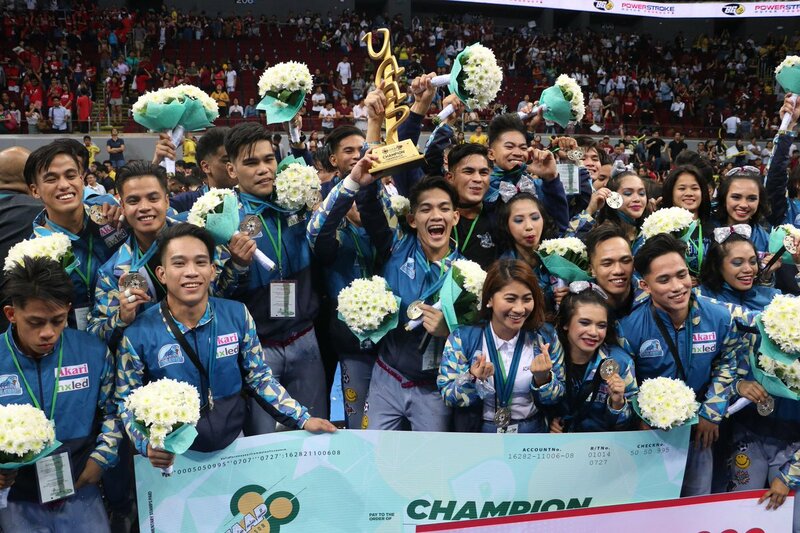 MANILA, Philippines - The Adamson Pep Squad finally won the UAAP Cheerdance competition and beat the National University (NU)’s winning streak on Saturday, December 2. The Soaring Falcon’s 80’s-inspired performance was very much applauded even before the announcement of the winners. Their stunts were flawlessly pulled off and the audience were in awe of their routine. The Twitterverse was filled with reactions about their win. Some already anticipated the win after Adamson placed second runner up last year. Many felt that it’s such a “sweet win” to see the underdogs go up the podium. Here are some of the top reactions from celebrities, fans and supporters. What a competition! What a year it’s been and it’s just the first half! Congratulations Adamson, UST and UE!!! 👏🏻👏🏻👏🏻 All-heart out there for all the teams. Thanks for watching #UAAPCDC2017! Adamson's historic championship with all people in the arena cheering for them. People everywhere: It's gonna be UP or NU this year! The good: UP and UST supporting and chanting for each other during their routines. UE was supportive of UP too. The bad: UP rejoicing on NU’s falls. The savage: Entire MOA Arena except a quiet NU crowd chanting Adamson before winner was announced. So, that’s it for this year, let’s look forward to another exciting competition next year!